Interaction is crucial to student satisfaction in online courses. Adding synchronous components (virtual classroom technologies) to online courses can facilitate interaction. In this study, interaction within a synchronous virtual classroom was investigated by surveying 21 graduate students in an instructional technology program in the southeastern United States. The students were asked about learner-learner, learner-instructor, learner-content, and learner-interface interactions. During an interview, the instructor was asked about strategies to promote these different forms of interaction. In addition, the academic, social, and technical aspects of interactions were examined in three course archives using Schullo’s (2005) schema. Participants reported that the Wimba interface was easy to use and that various features, such as text chat and the webcam, facilitated interaction among the students and with the instructor in the virtual classroom. The importance of students’ ability to receive immediate feedback and their experience as presenters was highlighted across the various kinds of interaction. The instructor’s teaching style and visual presence were instrumental in engaging students with the content. The results suggest that student interaction, and hence learning, was aided by the live communication that occurred through the virtual classroom. This study has implications for those who are considering adopting virtual classroom technologies for their online or blended teaching. Martin, F., Parker, M. & Deale, D. (2012). Examining interactivity in synchronous virtual classrooms. The International Review of Research in Open and Distributed Learning, 13 (3), 228-261. Athabasca University Press. Retrieved April 23, 2019 from https://www.learntechlib.org/p/49705/. Anderson, T. (2003). Getting the mix right again: An updated and theoretical rationale for interaction. International Review of Research in Open and Distance Learning, 4(2), 1–14. Anderson, T., & Garrison, D.R. (1998). Learning in a networked world: New roles and responsibilities. In C. Gibson (Ed. ), Distance learners in higher education (pp. 97–112). Madison, WI: Atwood Publishing. Arbaugh, J.B. (2000). Virtual classroom characteristics and student satisfaction with online MBA courses. Journal of Management Education, 24(1), 32–54. Bales, R.F. (1950). Interaction process analysis: A method for the study of small groups. Cambridge, MA: Addison-Wesley Press. Bernard, R.M., Abrami, P.C., Borokhovski, E., Wade, C.A., Tamin, R.M., Surkes, M.A., & Bethel, E.C. (2009). A meta-analysis of three types of interaction treatments in distance education. Review of Education Research, 79(3), 1243–1289. Cao, Q., Griffin, T.E., & Bai, X. (2009). The importance of synchronous interaction for student satisfaction with course Websites. Journal of Information Systems Education, 20(3), 331–339. Daniel, J., & Marquis, C. (1988). Interaction and independence: Getting the mix right. In D. Sewart, D. Keegan, & B. Holmberg (Eds. ), Distance education: International perspectives (pp. 339–359). London: Routledge. Denzin, N. (2006). Sociological methods: A sourcebook (5th ed.). New Brunswick, NJ: Transaction. DeWever, B., Schellens, T., Valcke, M., & Van Keer, H. (2006). Content analysis schemes toanalyze transcripts of online asynchronous discussion groups: A review. Computers& Education, 46(1), 6–28. Dillman, D.A. (1999). Mail and Internet surveys: The tailed design method. New York: John Wiley and Sons. Dirckinck-Holmfield, L., Sorensen, E.K., Ryberg, T., & Buus, L. (2004). A theoretical framework for designing online master communities of practice. In S. Banks et al. (Eds. ), Networked learning (pp. 267–73). Lancaster, UK: University of Lancaster. DuFrene, D.D., Lehman, C.M., Kellermanns, F.W., & Pearson, R.A. (2009). Do business communication technology tools meet learner needs? Business Communication Quarterly, 72(2), 146–162. Gilbert, L., & Moore, D.R. (1998). Building interactivity into web courses: Tools for social and instructional interaction. Educational Technology, 38(3), 29–35. Goussal, D.M., & Udrízar Lezcano, M.S. (2003). Synchronous distance learning and virtual classrooms: A case study on student expectations and conditioning factors. Australian Journal of Educational Technology, 19(3), 388–404. Gunawardena, C., Lowe, C., & Anderson, T. (1997). Analysis of a global online debate and the development of an interaction analysis model for examining social construction of knowledge in computer conferencing. Journal of Educational Computing Research, 17(4), 397–431. Hirumi, A., & Bermudez, A. (1996). Interactivity, distance education, and instructional systems design converge on the information superhighway. Journal of Research on Computing in Education, 29(1), 1-16. Hrastinski, S. (2006). Introducing an informal synchronous medium in a distance learning course: How is participation affected? The Internet and Higher Education, 9(2), 117–131. Kearsley, G. (1995, May). The nature and value of interaction in distance learning. Paper prepared for the Third Distance Education Research Symposium, University Park: Pennsylvania State University. Khan, B.H. (2000). Discussion of resources and attributes of the web for the creation of meaningful learning environments. CyberPyschology and Behavior, 3(1), 17–23. LaPointe, D.K., & Gunawardena, C.N. (2004). Developing, testing and refining of a model to understand the relationship between peer interaction and learning outcomes in computer-mediated conferencing. Distance Education, 25(1), 83–106. Linebarger, J.M., Scholand, A.J., Ehlen, M.A., & Procopio, M.J. (2005). Benefits of synchronous collaboration support for an application-centered analysis team working on complex problems: A case study. Proceedings of the 2005 International ACM SIGGROUP Conference on Supporting GroupWork, New York, NY, USA, pp. 51–60. Lockhorst, D., Admiraal, W., Pilot, A., & Veen, W. (2003). Analysis of electronic communication using 5 different perspectives. Paper presented at ORD 2003, Heerlen, Netherlands. Mandernach, B.J. (2005). A faculty evaluation model for online instructors: Mentoring and evaluation in the online classroom. Online Journal of Distance Learning Administration, 8(3), 1–10. Marshall, C., & Rossman, G.B. (1989). Designing qualitative research. Newbury Park, CA: Sage. Martyn, M.A. (2005). Using interaction in online discussion boards. Educause Quarterly, 4, 61–62. Miles, M.B., & Huberman, A.M. (1994). An expanded sourcebook: Qualitative data analysis. Thousand Oaks, CA: Sage. Miller, W.W., & Webster, J. (1997, December). A comparison of interaction needs and performances of distance learners in synchronous and asynchronous classes. Paper presented at the American Vocational Association Convention, Las Vegas, NV. Moore, M.J. (1993). Three types of interaction. In K. Harry, M. John, & D. Keegan (Eds. ), Distance education theory (pp. 19–24). New York: Routledge. Motteram, G. (2001). The role of synchronous communication in fully distance education. Australian Journal of Educational Technology, 17(2), 131–149. Northrup, P. (2001). A framework for designing interactivity into web-based instruction. Educational Technology, 41(2), 31–39. Repman, J., Zinskie, C., & Carlson, R. (2005). Effective use of CMC tools in interactive online learning. Computers in the Schools, 22(1–2), 57–69. Park, Y.J., & Bonk, C.J. (2007). Is life a breeze? : A case study for promoting synchronous learning in a blended graduate course. Journal of Online Learning and Teaching, 3(3), 307–323. Pittinsky, M., & Chase, B. (2000). Quality on the line: Benchmarks for success in internet– based distance education. Washington, DC: Institute for Higher Education Policy. Scholl, J., McCarthy, J., & Harr, R. (2006). A comparison of chat and audio in media richenvironments. In Proceedings of CSCW ’06. ACM Press, 323–332. Schullo, S. (2005). An analysis of pedagogical strategies: Using synchronous web-based course systems in the online classroom (Unpublished dissertation). University of South Florida. Stake, R.E. (2006). Multiple case study analysis. New York: Guilford Press. Van Raaij, E.M., & Schepers, J.L. (2008). The acceptance and use of a virtual learning environment in China. Computers& Education, 50(3), 838–852. Veldhuis-Diermanse, A.E. (2002). CSCLearning? 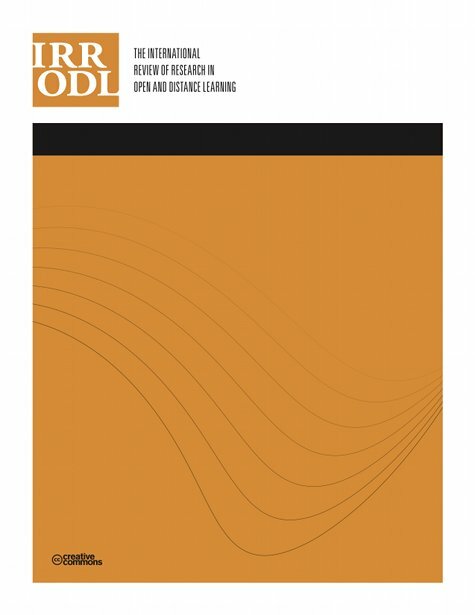 Participation, learning activities and knowledge construction in computer-supported collaborative learning in higher education (Unpublished doctoral dissertation). Wageningen Universiteit, Nederland. Verneil, M., & Berge, Z. (2000). Going online: Guidelines for faculty in higher education. Educational Technology Review, 6(3), 13–18. Wagner, E.D. (1994). In support of a functional definition of interaction. American Journal of Distance Education, 8(2), 6–29. Wang, Y. (2004). Supporting synchronous distance language learning with desktop videoconferencing. Language Learning& Technology, 8(3), 90–121.